For more a few days that seem like eternity, the lovely and bucolic island of Guimaras off the coast of Iloilo has been hugging the headlines due to the "Solar-powered" oil spill that caught the government unprepared again aside from being perenially ill-equipped and slow to react. News blurted out by the media paints a really dark scenario and pictures i get to see are all black with blackgold turned menace wreaking havoc to a delicate ecosystem. the good news, according to a reliable source, is that this part of Guimaras is not affected by the oil spill although tourism and other dependent livelihoods are ground ed to a near halt. Adventure Tour Package: Guisi Discovery Quest, by the Barangay Dolores Tourism Council (BDTC), centered on the rich historical heritage of Sitio Guisi, Nueva Valencia, an eight-hour tour, costing P999 per person. 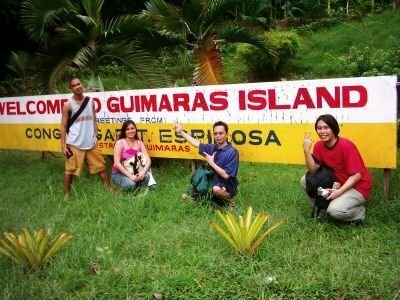 Guimaras Island can be reached by a mere 15 minuteboat ride from Iloilo pier to Jordan pier on Guimaras.There's also Buenavista pier but farther from Iloilo. I get nostalgic for the country of my birth and formative years when I see sites such as yours. I am gonna have to visit next year. maybe. Keep the stories and the multimedia stuff coming. 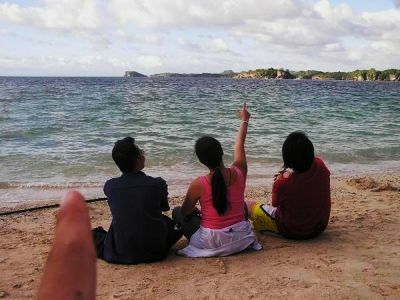 I am from Iloilo originally and Guimaras used to be a weekend getaway for us... thank you for posting these! Memories are hitting me like a big yellow school bus! 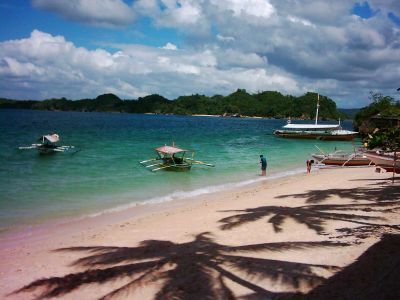 I miss guimaras, the people and the beaches.. Baras Beach Resort..